Leading Exporter of yaskawa servo pack, ac servo drive repair, acopos servo drive repair, amplifier repair, baldor drive repair centre and error code repair from Chennai. We are authorized service provider and we Serviced many Yaskawa servo pack for more than one decade. Our Expertise team handled many drive and successfully completed the project. Components required for the servicing is imported form good manufactures as per our customer needs. We catch the video for the servo pack after servicing the pack for customer satisfaction. Customer is the king for us and we work for our customer satisfaction. Packing: Images of the servo pack is taken after and before parceling. This images is send to the our customer for their fulfillment. Packaging Details: 1) Worthy packing 2) As per customer needs. We are expert Servo Drive Repair in India.We are an authorized servo drive repair facility for many servo drive brands.We offer the fastest turnaround times available for servo drive Repair. We have expertise to repair all types and all makes of servo drives and also including AC servo motors & DC servo motor, spindle and stepper motors.We are specialized in providing technical solutions and consultancy for these products.We are offering Panasonic NEW servo drive. We service, repair, replace, built, rebuild, regrind, recondition, refurbish, remanufacture, retrofit and overhaul all servo drives. 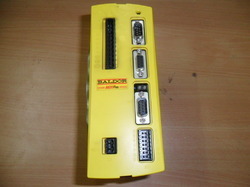 Star Automations Provides Expert repair for B&R Acopos servo drive repair. Star Automations offers the fastest turnaround times available for Acopos servo drive Repair . We have dedicated Servo Repair facility. We have expertise to repair capabilities for Acopos family of intelligent servo drives, servo motors, Industrial PC and ACOPOS plug-in modules. We are Star Automations, India. 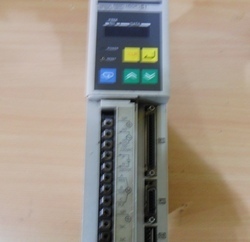 We are doing sales and Service for all kinds of industrial Automations products. We are offering service for ABB Baldor FMH2A09TR-RN23 at affordable rate. We are having well trained and skilled engineer. To help minimize your down-time we can exchange or replace your damaged motor. Star Automations has an extensive inventory of rebuilt and new servo drives and motors and spindle motors for exchange and/or sale. Packaging Details: Worth and Good packing. Based On Customer satisfaction. We are expert Servo Error Codes Repair in India.We are an authorized servo drive Error code repair facility for many servo drive brands.We have servo drive error code technicians, Error code finder & Error code solutions provider.We offer the fastest turnaround times available for servo drive error code Repair.We have expertise to repair all types and makes of servo drives and also including AC servo motors & DC servo motor, spindle and stepper motors. For any other related information feel free to contact us. We will do our best help. 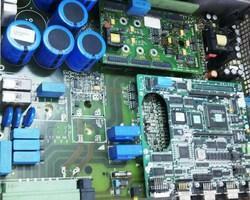 Star Automations Provides Expert Omron servo drive repair and maintenance service. We have completed testing Stands to test all Omron servo motor and servo drives after repair. Star Automations offers the fastest turnaround times available for omron servo drive Repair. old servo series Replace the U series,S Series, R Series, or H Series with an upgrade to the W Series and G series servo. We are Upgrades New series of Omron servo drives & servo motors and Exchange your old servo drive and motor with warranty. 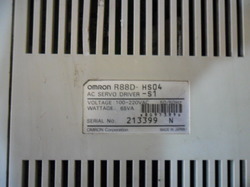 If you are looking for Omron Servo Drive and motor, please call us .we will do our best to help you find the Omron Omnuc series Servo that you are looking for at the most competitive prices possible. Star Automations Provides Expert Omron servodrives & omron servomotors repair and maintenance service. 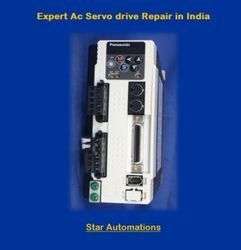 Star Automations Provides Expert Panasonic servo drive repair and Mintenance service. We are an authorized supply and service for Panasonic servo drives and servo motors. We have completed testing Stands to test all Panasonic servo motors and servo drives after repair and service. 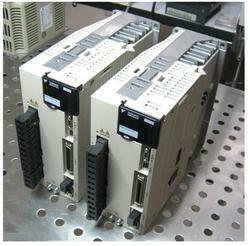 Star Automations offers the fastest turnaround times available for Panasonic servo drive Repair . If your Panasonic servo drives, servo motor and Controller is obsolete? We are Upgrades New series of Panasonic Minas A5 servo drive & servo motor and Exchange your old servo drive and motor. 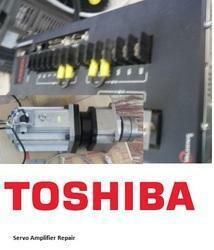 We Expert Repair in Toshiba servo amplifiers and Servo Motor. To help minimize your down-time we can exchange or replace your damaged motor. Our company has an extensive inventory of rebuilt and new servo motors and spindle motors for exchange and/or sale. If your servo drives, servo motor and Controller (any make) is obsolete: We are Upgrades New series servo drives & servo motors and Exchange your old servo drive and motor with warranty. If you are looking for servo repair or upgrade your servo system, please call us .we will do our best to help you find the Servo Drives that you are looking for at the most competitive prices possible. We provide repair and maintenance service, replace, rebuild, refurbish, remanufacture, and overhaul all servo drive and motor. Please contact us to get more information about our capabilities. Looking for Servo Drive Repair ?